The Monarch Enterprises manufactures one of the most elegant wood/acrylic pen cases, which show off your stylish and exquisite pens, while keeping them safe and clean.We offer you an extensive range of pen cases and holders to protect your precious pens in these highly valuable and extremely luxurious cases. The significant advantage of PenDisplay Stand is that it is lightweight, easy to use and durable. Monarch enterprises ensure pen displays are created to carry the brand identity of your products.We design pen display stands specifically to meet your requirements of size, color, budget, timeframe and target audience. 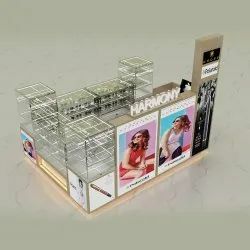 Looking for Pens Display Stand Rack ?